How huge was the Pokémon Go craze last year? So massive that Russia reportedly tried to use the game to tear America apart from the inside. Yep, they weaponized Squirtle. According to a CNN report, the Internet Research Agency—Russia’s online dirty tricks squad—included the smash mobile game in a wider campaign to incite hatred and racial division within America. A series of social media accounts and websites under the title of “Don’t Shoot Us” shared footage of American police brutality across the internet, ostensibly to provoke African-American protests against police brutality, while also fanning the flames of anger and resentment towards black activists among whites. Within this latticework of deception was a “contest” that asked players to train their Pikachus near sites where police brutality occurred, and then name their creatures after the real-life victims. CNN’s report includes a screenshot from a Tumblr page with the contest rules, which shows an image of a Pokémon that’s been named Eric Garner, the African-American man whose 2014 death after being placed in a chokehold by a New York City Police Department officer was caught on film. 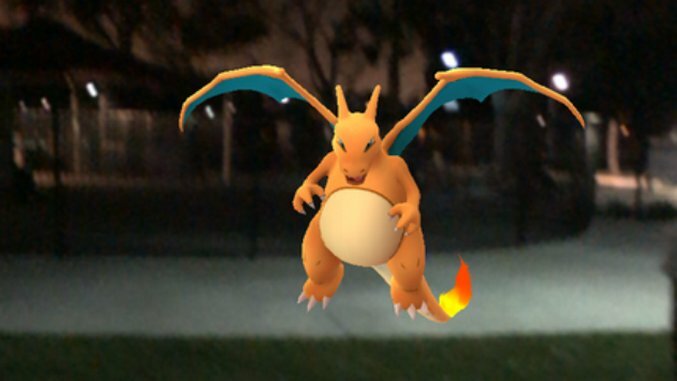 Those rules claim that if a player captured a Pokémon Go gym near such a crime scene with a character named after the victim and submitted a photo as proof, they’d win Amazon gift cards. As ridiculous as this sounds, it wasn’t necessarily a horrible idea. Anybody working in media can vouch for the absurd popularity and staying power of Pokémon Go. That one mobile game drove a disproportionate amount of our traffic last year, and had the same impact on other sites that write about games. If you’re looking to exploit American popular culture to undermine the country from within, you couldn’t have found anything bigger last summer than this weird phone game about training adorable anime critters to beat each other up. Thankfully nobody seems to have taken the bait. Go read the full CNN piece for more details.